Film House Productions. 1978. Director: Fred Schepisi. Music: Bruce Smeaton. 45	(ST)	RCA. 103153. 1978. Producers: John Sharp & Rick Kent. Engineer: John McDiarmid. Recorded & Mixed at Peper Studios, Adelaide, Australia. 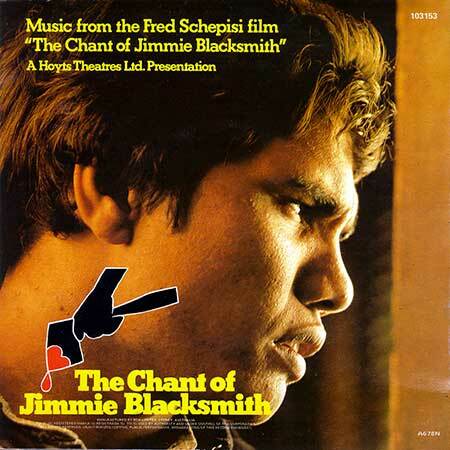 Side a: “The Chant Of Jimmy Blacksmith”. (Smeaton). LP(t) (OP) (See Compilations - BRUCE SMEATON - FILM AND TELEVISION THEMES: S2-Tk7). LP(t) (AD) (See Compilations - MUSIC FROM GREAT AUSTRALIAN FILMS: S2-Tk2). CD(t) (See - Compilations - GREAT AUSTRALIAN FILM THEMES. CD(t) Artworks Cinema. AW002. 1996. - ROGER WOODWARD - MOVING PICTURES.